And that’s what a new study has found. 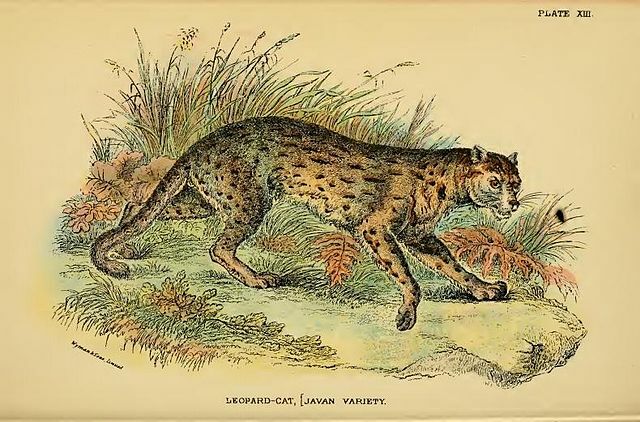 The Chinese cats were leopard cats, suggesting that ancient Chinese farmers had begun to tame a separate species of feline than the one that had already entered human society in the Middle East. Though there’s no evidence that this line of cats survived (modern housecats have no trace of leopard cat DNA), the study adds further weight to the idea that farming–which was happening all over the world, often with local populations of small felines nearby–played a key role in the domestication of cats. Farming and grain storage attracted rodents, which in turn attracted local wildcats. When humans saw the utility of these cats, the thinking goes, they kept them around, and the cats themselves became tamer over time. The advent of farming was one of the most critical milestones in the rise of human civilization. And so it’s tempting to speculate the the rise of human civilization was also destined to give rise to the cat.